This series of instructional cards uses examples and diagrams to illustrate and reinforce art basics. Each on durable cardstock and scored so that it can be folded and used as a flash card for testing - or displayed so students can take a closer look. 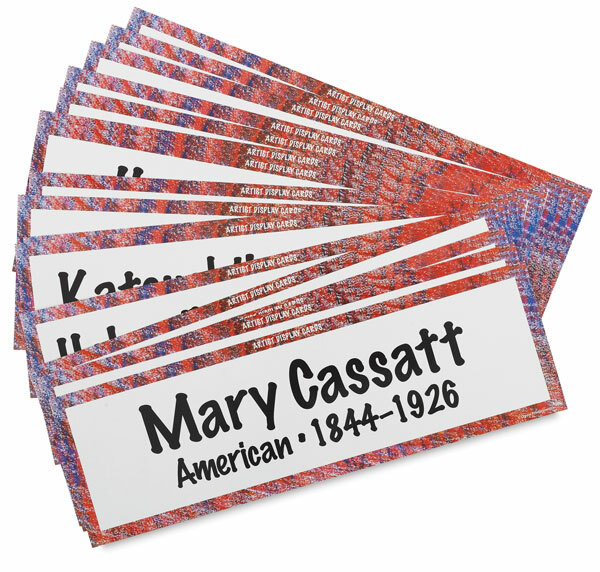 This set of 16 cards introduces popular artists from a range of art movements and time periods including Bearden, Calder, Cassatt, Da Vinci, Frankenthaler, Hokusai, Hopper, Kahlo, Lichtenstein, Matisse, Michelangelo, Monet, O'Keeffe, Picasso, Rembrandt, and Van Gogh. 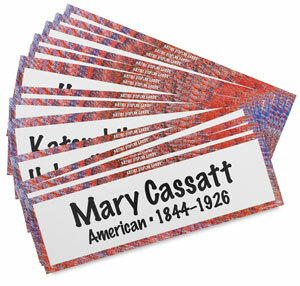 Each card includes the artist’s nationality, lifespan, and style or artistic era.